Totalitarian factions throughout the West are the arch-promoters of the notion of catastrophic manmade global warming. Through their near-total control of both traditional and digital news media as well as of increasingly powerful but entirely unelected supranational institutions they have succeeded in bullying governments of all parties into a panicky acceptance that carbon dioxide is a pollutant when in reality it is plant food – essential nourishment for all animal life, including our own species....Patrick Moore, a founder of Greenpeace, has pointed out that when the Berlin Wall came down the international-Socialist totalitarians moved into Greenpeace and suchlike environmental organizations, took them over, drove out those of their founders who did not subscribe to Communist doctrines, and repurposed those organizations to advance Communism under the green figleaf of environmental concern. From the beginning, then, climate fanaticism has been driven, organized and promoted by the totalitarian far Left, with the explicit and often-stated objective of destroying the freedom, democracy and prosperity of the West. A fuller outline of the description above will be uploaded on our blog imminently. Viscount Monckton will also discuss his most recent scientific research in this area and give a fuller outline of the nature of this fraud, placing it in the context of the wider globalist agenda. He will also discuss what a conservative environmentalism would instead look like. As ever to manage the smooth running of the event, the TBG reserves the right to restrict attendee bookings at our complete discretion. Those who we are unfamiliar with may be asked to demonstrate their bona fides. Your continuing to book outlines your consent to this. DRESS CODE: This is a 'black tie' event. It is being held in a prestigious central London location for your full peace of mind and in glorious traditional surroundings. EVENT LOCATION: Those attending the dinner will be notified of the location late afternoon on the day preceding. It is being held at a wonderful central London location and this is disclosed closer to the time for security purposes. Those in good standing who need to know sooner can always contact us. TICKETS: This is a ticketless event and so you will not receive a physical ticket, nor do you need to print out your pre-event notification, your name(s) will be perfectly sufficient. NOTE: On arrival there will be a cash bar and guests can also purchase their table wines at this time. 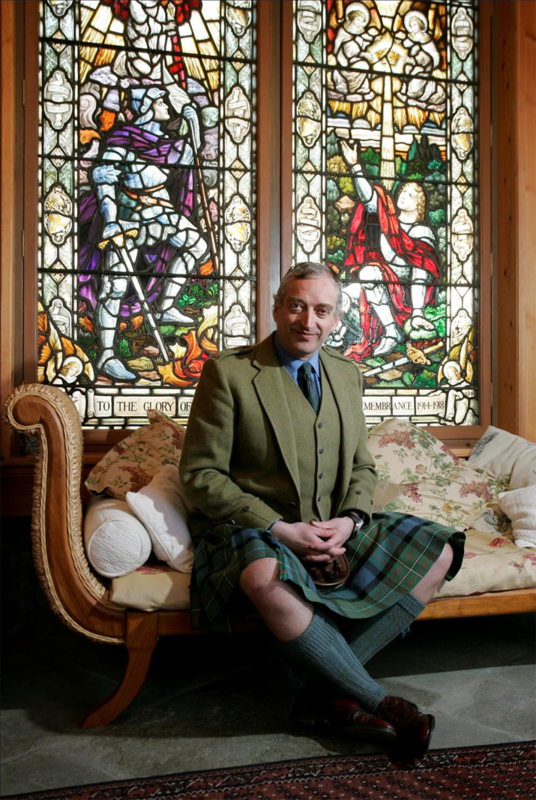 Lord Monckton, an MA (Cantab.) in classical architecture, is a former adviser to Margaret Thatcher as Prime Minister, the inventor of the best-selling Eternity puzzles, and a much-published expert on the climate question. He began his career as a cub reporter on the Yorkshire Post, becoming its deputy leader-writer at the age of 22. He worked for a year as a Press Officer at Conservative Central Office before being appointed Editor of the Catholic weekly The Universe at 24. After three years there, during which the circulation rose 15% after 15 years’ decline, he was appointed Managing Editor of the Telegraph Sunday Magazine. After a year there, he was appointed special adviser to the Prime Minister at 10 Downing Street, serving for four years. After a year as Consulting Editor of the national newspaper Today, he was appointed Consulting Editor and Chief Leader-Writer of the Evening Standard. After five years there, he moved to Scotland, where he established a successful consultancy business. In the past decade he has travelled the world explaining the science and economics of climate from a sceptical standpoint. Lord Monckton is recognized internationally as one of the world’s leading experts on the climate question. He has several peer-reviewed papers on climate published in learned journals. He has given powerful, informative and always entertaining speeches, lectures and physics-faculty seminars on climate change all over the world. In 2006 a City institution invited Lord Monckton to advise it on whether “global warming” was a problem. His 40-page report concluding that it would not, after all, be a global crisis was shown to the Editor of the Sunday Telegraph, who commissioned him to write two major articles on the subject. The first article attracted 127,000 hits to the Telegraph website in just two hours, causing it to crash. No other article ever printed by the Telegraph newspaper group has attracted so much interest in so short a time. Lord Monckton has testified four times before the U.S. Congress on the climate. On Labor Day 2008, he addressed 100,000 mineworkers and their families on a reclaimed mountain-top in West Virginia – one of the largest live audiences ever addressed by a politician. His announcement in 2009 to the Petroleum Club of Calgary, Canada, that the then-secret draft Copenhagen Climate Treaty proposed the establishment of an unelected world government with powers to bring all free markets to an end and to inflict unlimited taxes, fines and regulations on all nations (see e.g. Annex 1, paras. 36-38) made front-page headlines across Canada. The treaty was subsequently abandoned. The 4-minute peroration of his 90-minute speech on climate change at Bethel University, St. Paul, Minnesota, in October 2009 was posted by a member of the audience on YouTube, where it received 5 million hits (2.7 million on one website alone), achieving Platinum on YouTube faster than any other speech. His exposure of the absurd content of the proposed Durban climate agreement (which demanded inter alia that Western nations should cut their CO2 emissions by “more than 100%”) was the most-read of 500,000 blog postings hosted by WordPress that day, and led to the abandonment of half the Durban text within 24 hours. His 45-second intervention at the end of the Doha climate conference in December 2012 pointing out that there had been no global warming for 16 years provoked shrieking fury and disbelief among the delegates. By November 2014 there had been no global warming for 18 years. He has published papers on IPCC’s wilful errors. A major mathematical paper, Why models run hot – results from an irreducibly simple climate model, published 2015 in the prestigious Chinese journal Science Bulletin, has been downloaded more often – by a factor of 12 – than any other paper in the 63-year history of that distinguished scientific journal.